This glass vase has an abstract pattern and bright and vibrant red and yellow colors. 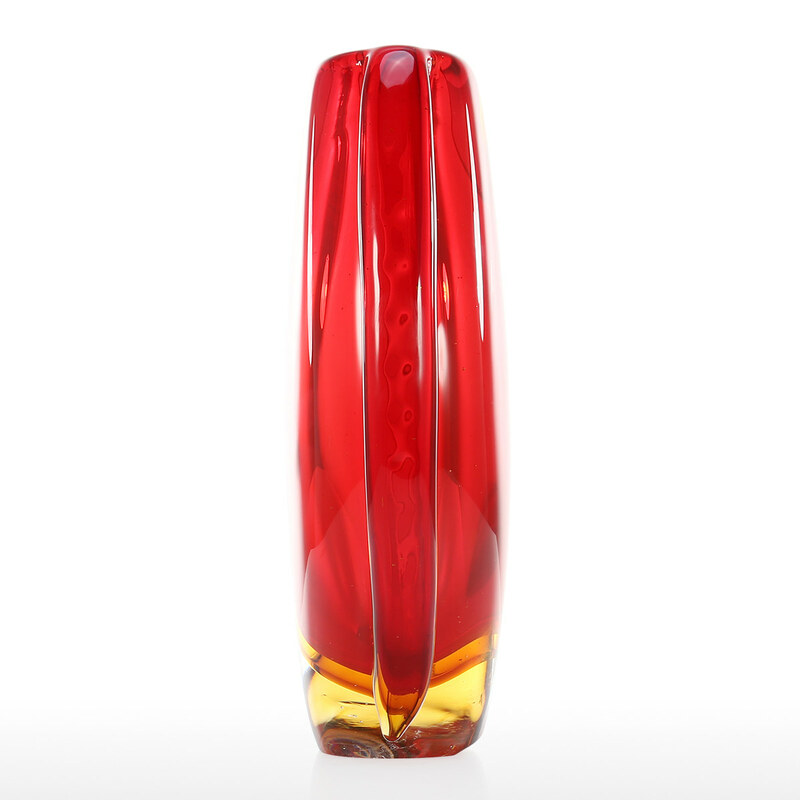 The vase is handmade by professional craftsman. 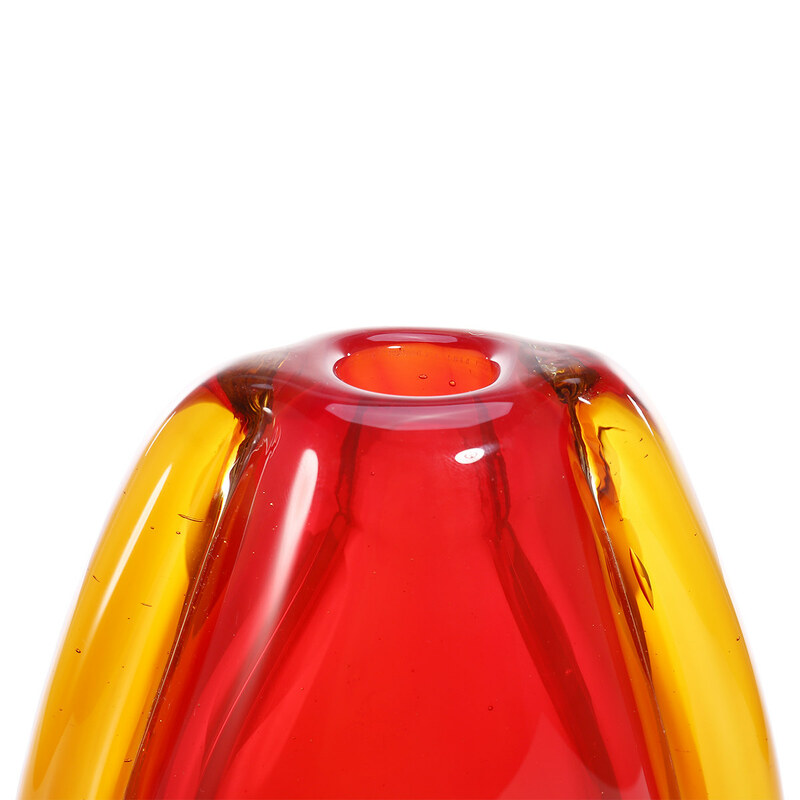 And each has slightly difference. 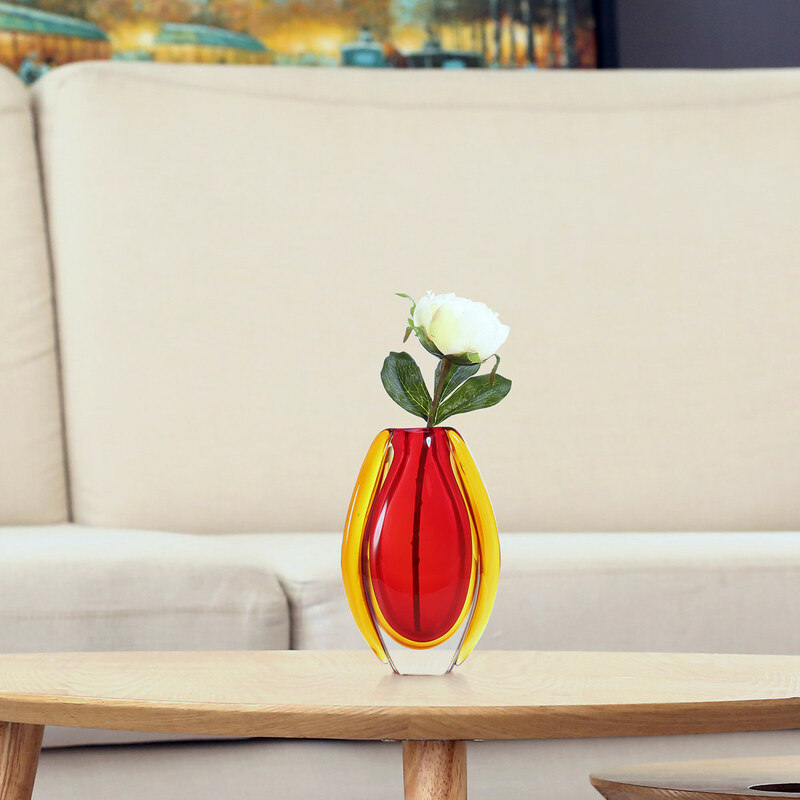 It is great to place some dry flowers or silk flowers. 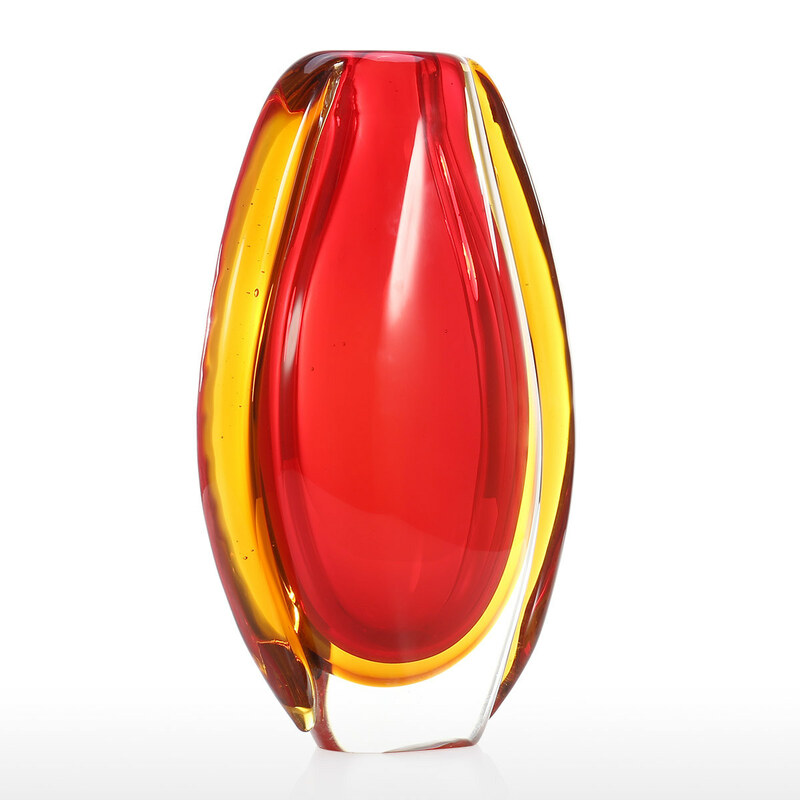 The beautiful glass vase is a great decoration to bright up your home, office, making the interior space more elegant. 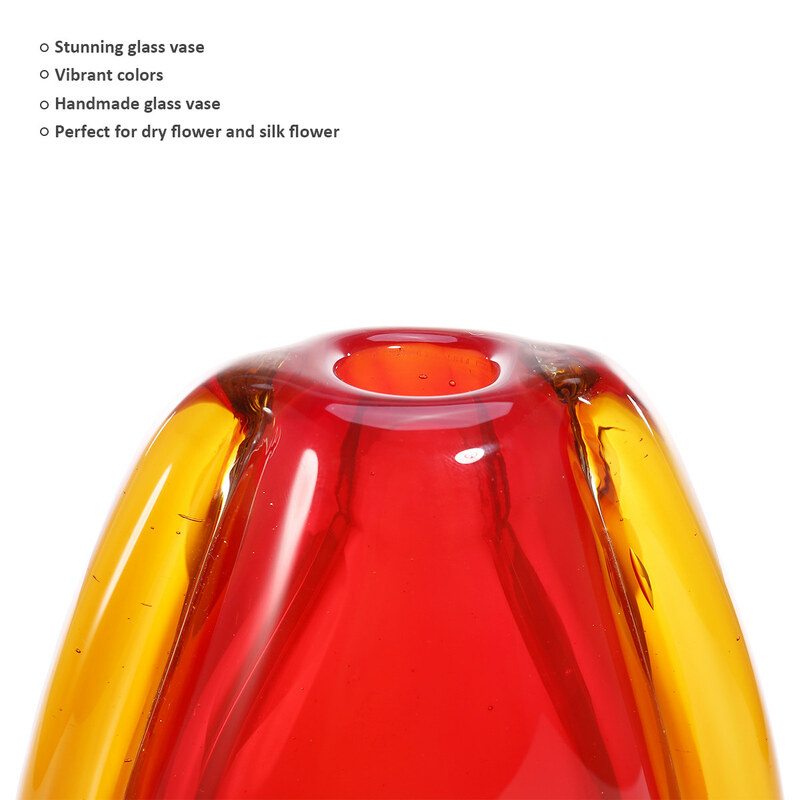 It is also a marvelous gift for family, friends who love to decorate the house. 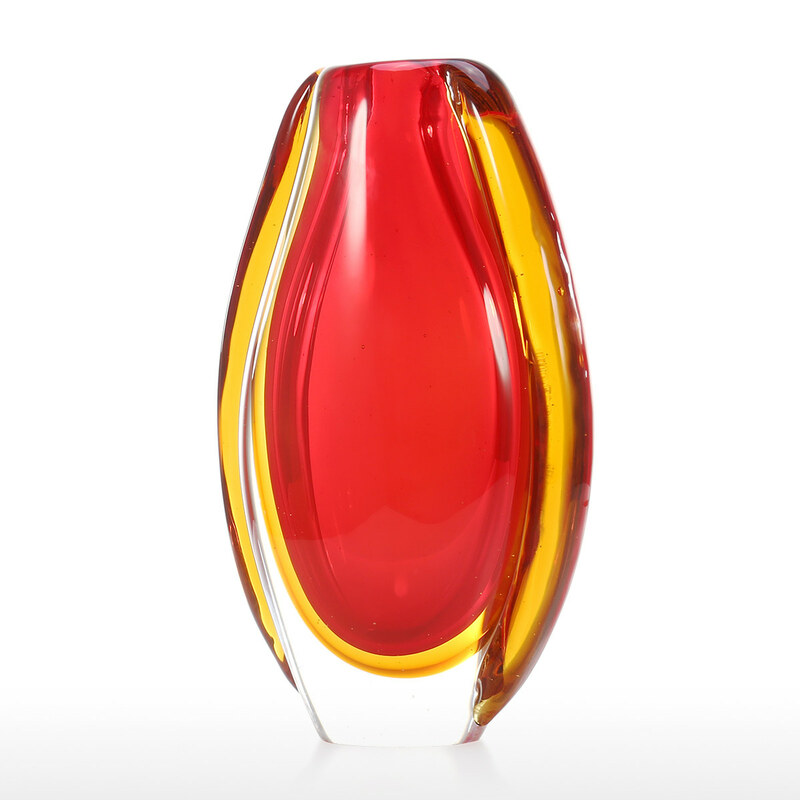 Stunning glass vase: This glass vase has an abstract pattern and bright and vibrant red and yellow colors. 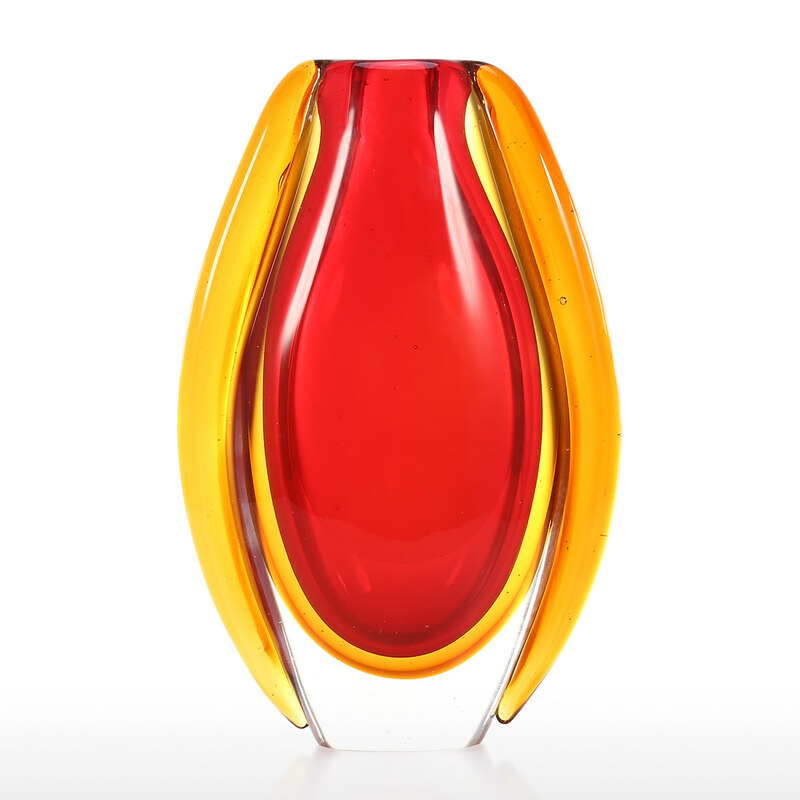 Handmade glass: The vase is handmade by professional craftsman. And each has slightly difference. 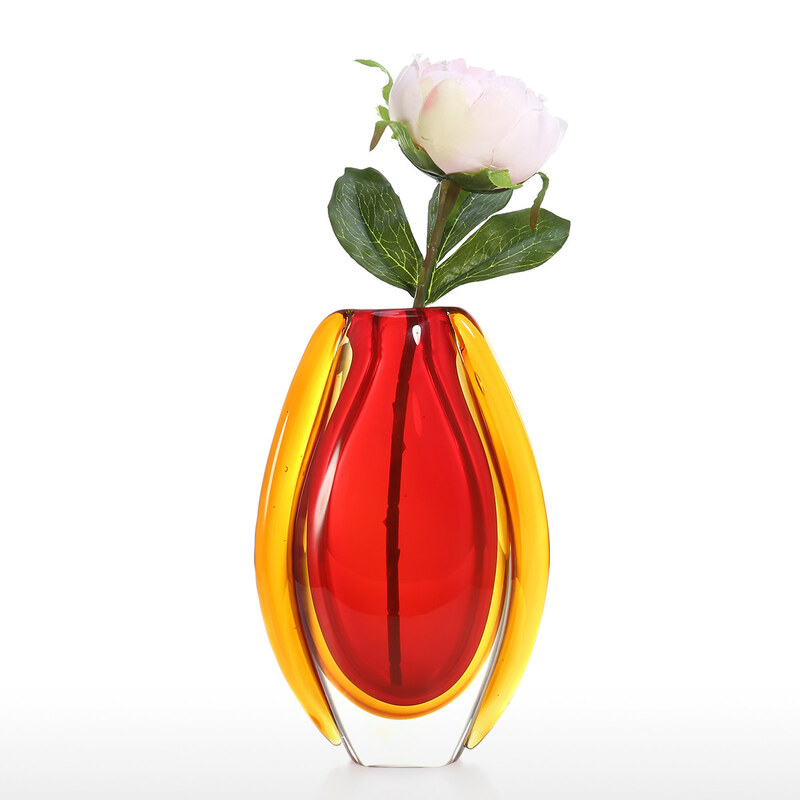 Application: The glass vase is great to place some dry flowers or silk flowers. 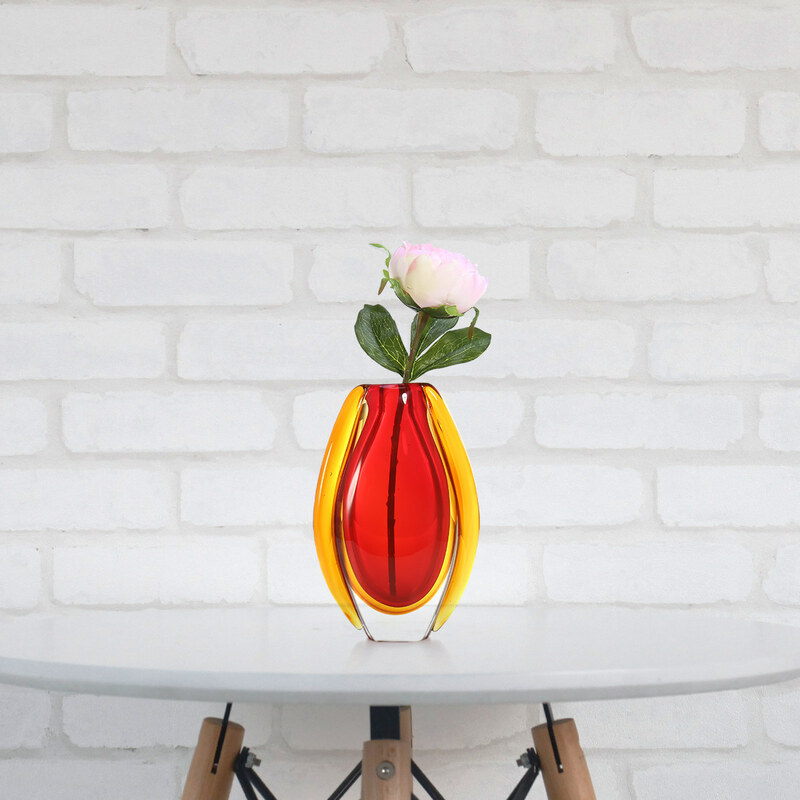 Decoration: The beautiful glass vase is a great decoration to bright up your home, office, making the interior space more elegant. 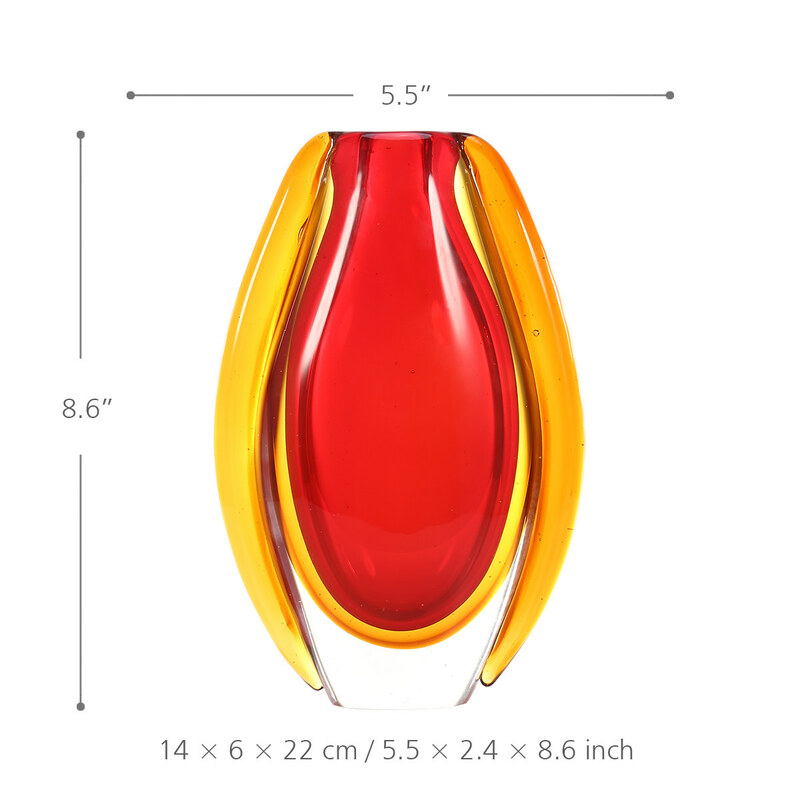 Gift idea: This glass vase is a marvelous gift for family, friends who love to decorate the house.